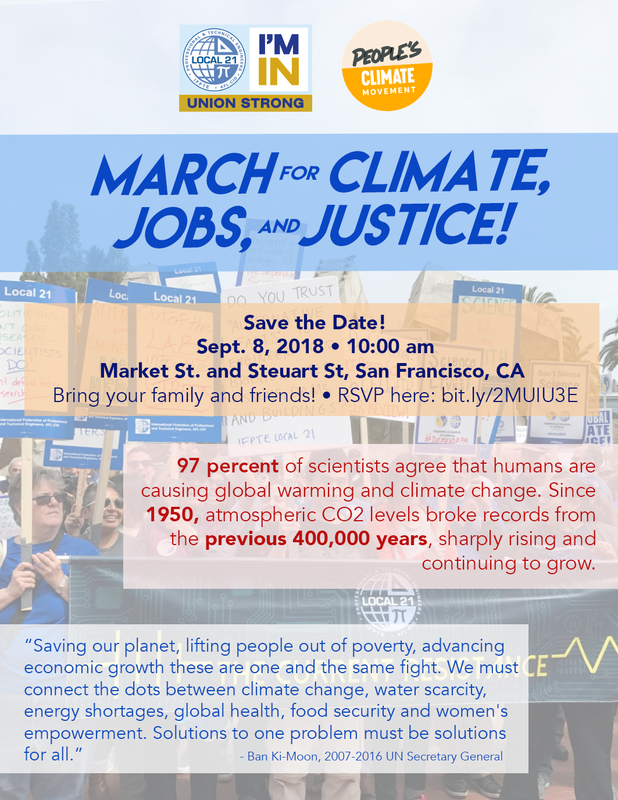 Local 21 Marches for Climate, Jobs, and Justice! Every day, increasingly frequent crises and natural disasters illustrate a catastrophic global environmental imbalance. We believe that a just transition to a better future must rebuild, renew, and restore the balance between people, the environment, and our economy.